The Canadian Sport Institute Pacific (CSI Pacific) and PacificSport Interior BC endorse a Food First philosophy towards supplements. Consult with a Registered Dietitian/Nutritionist for a complete diet analysis prior to engaging in any supplement regimen. Read more about the CSI Supplement Policy – Full [PDF] & CSI Supplement Policy – Athlete Version [PDF] and learn more regarding the risks behind sport supplements. The Canadian Centre for Ethics in Sport (CCES) is the custodian of the Canadian Anti-Doping Program; the set of rules that govern anti-doping in Canada. The CADP consists of several components such as in- and out-of-competition testing, education, medical exemptions, and the consequences of doping violations. The CADP is compliant with the World Anti-Doping Code and all international standards. WADA was established in 1999 as an international independent agency composed and funded equally by the sport movement and governments of the world. Its key activities include scientific research, education, development of anti-doping capacities, and monitoring of the World Anti Doping Code (Code) – the document harmonizing anti-doping policies in all sports and all countries. 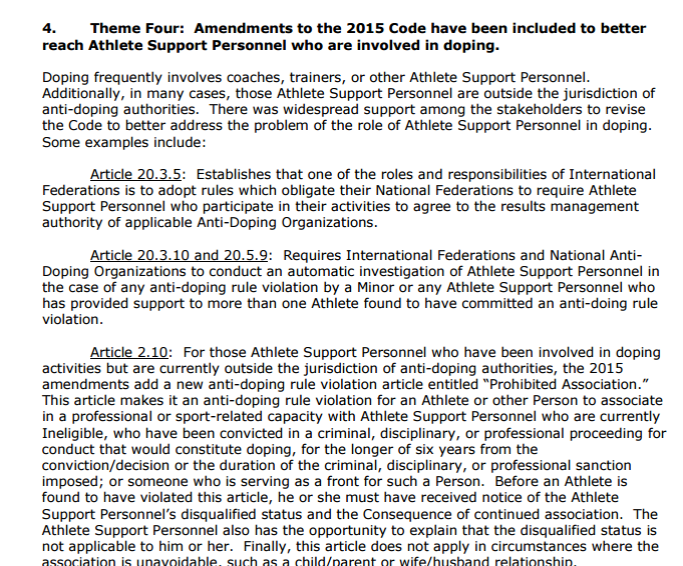 ATTENTION SUPPORT PERSONNEL (Coaches, Trainers, Doctors/Practitioners): WADA Code was amended in 2015 to also place accountability on Athlete Support Personnel who may have a role in a doping violation by an athlete, intentionally or unintentionally. It is YOUR responsibility to know the rules if working with high performance athletes. With any product under the supplement banner (sports foods, health supplements or ergogenic aids such as caffeine), there is potential risk that use may result in an anti-doping violation either due to intentional contamination or cross-contamination during the manufacturing processes. Informed-Choice is a quality assurance program for sports nutrition products, suppliers to the sports nutrition industry, and supplement manufacturing facilities. The program certifies that all nutritional supplements and/or ingredients that bear the Informed-Choice logo have been tested for banned substances by the world class sports anti-doping lab, LGC. NSF International is a public health and safety company who makes it easy for athletes and coaches to identify nutritional supplements that do not contain any banned substances. A key component of this program is an NSF Mark on each product label, to show athletes, coaches and consumers that a sports supplement has met NSF's comprehensive Certified for Sport® program guidelines. Download the NSF APP for FREE- available at the Apple App Store and Android Marketplace. 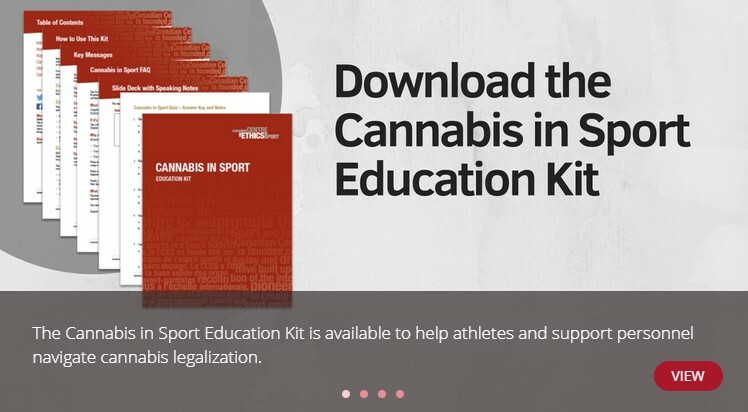 This Kit contains materials for our partners in sport, to do just that – to provide clear information on this topic to your athletes, your students, your faculty and staff and your coaches. It is designed to help protect them from inadvertent doping violations, to encourage learning, and to optimize their opportunities for success. CHECK ALL MEDICATIONS at the GLOBAL DRO (Drug Resource Online) - providing athletes and support personnel with information about the prohibited status of specific substances based on the current WADA Prohibited List.